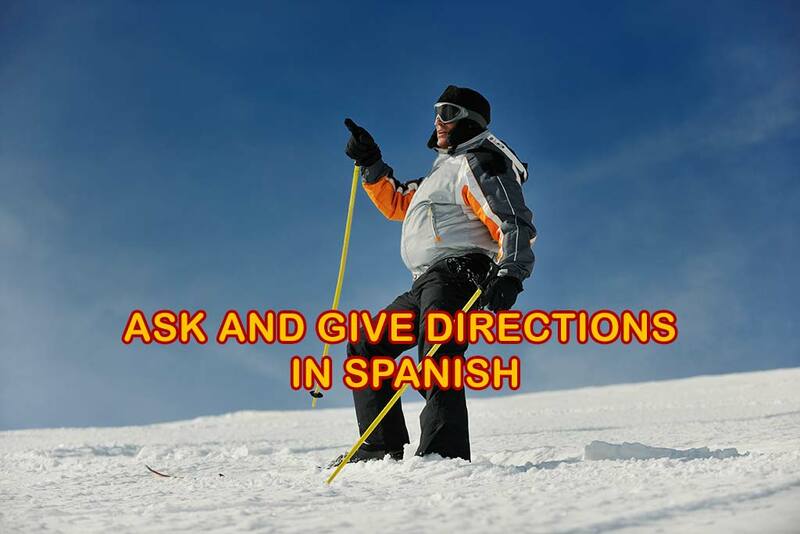 How to ask and give directions in Spanish – Spanish language lessons for beginners and intermediate speakers. De la esquina, dé vuelta a la derecha. Turn right at the corner. En la próxima avenida, dobla a la izquierda. On the next avenue turn left. En esta zona está prohibido dar vuelta en U. In this area it is illegal to make a U-turn. Si el semáforo está en rojo, no cruce la calle. If the stop light is red don’t cross the street. Ponga atención cuando el semáforo está en ámbar. Pay attention when the traffic light is yellow. Busco la dirección de la Embajada de Estados Unidos en México. I’m looking for the address of the United States Embassy in Mexico. ¿Qué tan lejos está el hospital de la Cruz Roja de tu casa? How far is the Red Cross hospital from your house? El estadio “Azteca” esté más cerca de la estación del tren que la Avenida de las Américas. The stadium “Azteca” is closer to the train station than the Avenue of the Americas. Antes de tomar un taxi, busque la dirección en el mapa. Before taking a taxi look for the address on a map. No voltee a la izquierda, siga derecho hasta que vea la señal. Don’t turn left, continue straight until you see the sign. Each of these five factors can be mixed together to create a wide variety of possibilities. To form postive formal commands, start with the form of the verb that goes with the pronoun “yo” (e.g., abro, muevo, vengo, etc.). Then take the “-o” off of that verb ending. If the verb is an AR verb, replace the “-o” with “-e” If the verb is an ER or IR verb, replace the “-o” with “-a” If the command is given to more than one person, the endings are “-en” and “-an” respectively. If the verb is reflexive, put the reflexive pronoun “se” after the verb form. If there are object pronouns (it, them) put them after the verb too. The following examples help to clarify. The negative formal commands are similar to the positive ones. The difference is that the word “no” goes before the verb and reflexive pronouns and object pronouns also go before the verbs. Given the difficulty and the variety of direct command forms, one solution is to use indirect command forms. These are easier to form and do not involve as many choices. There are three phrases that are helpful in giving indirect commands: “hay que…” (one must), “favor de…” (please do the favor of…) and “usted tiene que….” (you have to…). Each of these phrases is followed by a verb in the infinitive. As such, it is not necessary to know the verb conjugation. Be aware, however, sometimes the regular command form sounds much better. Hay que escucharme primero. You must listen to me first. Hay que explicar todo. You must explain everything. Hay que levantar el pie. You must raise your foot. Favor de mostrarme los papeles. Do the favor of showing me the papers. Favor de ayudarme con esto. Do the favor of helping with this. Usted tiene que sacar las manos. You have to take your hands out. Usted tiene que dejarlo aquí. You have to leave it here. Usted tiene que salirse ya. You have to go away now.